"Please face your back to the door when you exit. 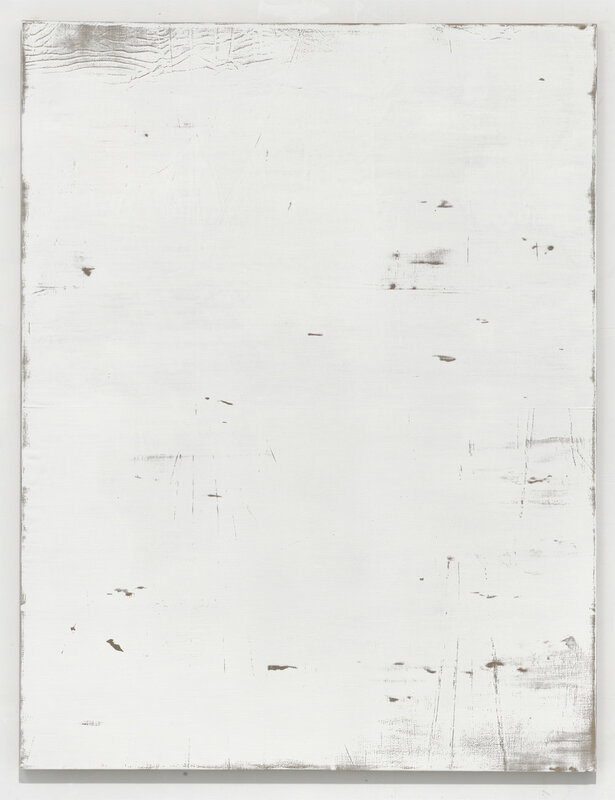 The paintings of Thomas Fougeirol are not precisely any of the following, as we can only grasp at them through the instability of these contours: as time-lapsed stills, a blank-slate loop emerging out of nothingness; facsimiles of one another, as apparitions searching for a form; as an echo of an image, when that image is an echo, whose original sound never occurred. Fougeirol would like us to see the thing for the thing, when the moment the absorption of the images by materials, such as raw linen, wool, and cashmere, crosses over as mental absorption. The instant when the physicality of abstraction is blown apart at the point of impact. Drips of paint appear as images of drips, not of the drips themselves, yet deep down we know that they are only that. They have us embrace our doubts as total beliefs. The images recognize us, not the other way around. A painting is watching us now, until we turn the corner and it loses sight of us and another one is giving us the once-over. A long glance here. A quick stare there. 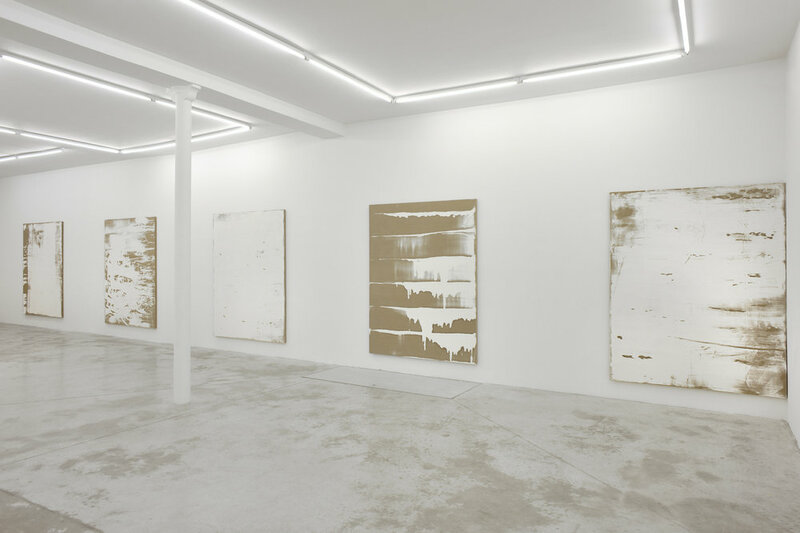 Do not mistake Fougeirol as an abstract painter; he is a representational painter who sculpts with the idea, content, and history of abstraction. His process is propelled by mechanical and chance operations, lithography and early photography, but also the physical phenomenon of sound (delay, reverberation, echo), and of memory’s recidivist ways. His work puts us in an anticipatory state of what might have already happened, going back in time to wrestle the pre-image out of image. Burrowing into nothingness, that space before image, behind image, only to rise again, to re-emerge.